Relieving first home win for Tornado. 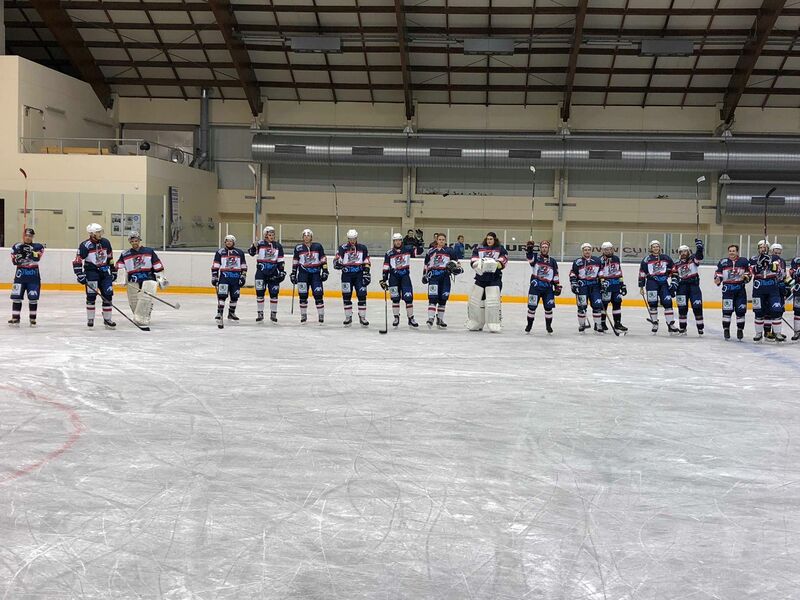 After losing the first two home games by one goal, Tornado finally managed to take the first win in Kockelscheuer with a clear 7-3 win against Reims. Despite the clear final score, the first 55 minutes were everything but clear. In the first period Tornado managed to take a 1-0 lead when Magnus Jansaker scored his first goal of the season by deflecting Gilles Biver’s NHL-style wrister from the blue line. That lead lasted 6 minutes until Reims’ Martin Prat tied the game with a solid wrister to the upper corner, 2 and half minutes before the end of the period. The second period was nervous playing from both teams until the end of the period when Colm Cannon decided to show his leadership, as many times before. After some well-chosen words on the bench, he scored two goals in consecutive shifts and the game was 3-1 to Tornado. That was the result after 40 minutes as well. The third period continued the same way, both team had their chances, but no goals were seen in the first half of the period. One kind of turning point happened at time 50.20. A Reims' player apparently didn’t hear the referee’s offside call and shot the puck towards our goalie Gilles Mangen after the whistle. In ice hockey, that’s not a good idea and Marcus Eriksson showed it with a cross-check and the rumble was ready to start. Unluckily for Reims’ players, Tornado had their human cannonball, Magnus Jansaker, on the ice and he dove into the hassle and soon his hands were like the wings of the wind mill. The result of this little meeting was that Magnus and the Reims’ player each went for 4 minutes to the penalty box and Marcus Eriksson did the same but just for 2 minutes. Reims took an advantage of the power play and scored. Thus the result was 3-2. At this point Coach Fical decided to give more ice time to our very hot first line. Normally that’s not a bad idea, neither this time. In the next three minutes, Tornado scored 4 goals. Three of them was scored by the first line and one by second line center, Ossi Uotila. After that Reims scored one more, but it didn’t save them and the final result 7-3 was sealed. As mentioned the win was very relieving for the team. “It was very important to give something back to our fans” Colm Cannon said in the post-match interview to our media wizard, Liam McEvoy. Next weekend Tornado will travel to play against Fontenay. Fontenay hasn’t had an easy start to the season. After 6 games they still have 0 points and the goal difference is -76. Next time you will have a chance to see Tornados on 17 November when the very popular Veterans Day hockey game will be played. Next Division 3 home game will be week after, against Fontenay again. If you feel that two weeks without hockey is too much, go to see Puckers on 10 November. The event starts at 18.30 with a medal ceremony to celebrate the team finishing 3rd from 67 teams last season. Stay tuned, the season is in a good roll at the moment and many interesting games are still ahead. #biggertogether. Written by Teemu Hinkula, 04/11/2018 14:39.